Introduction to Telegram – What are Bots? 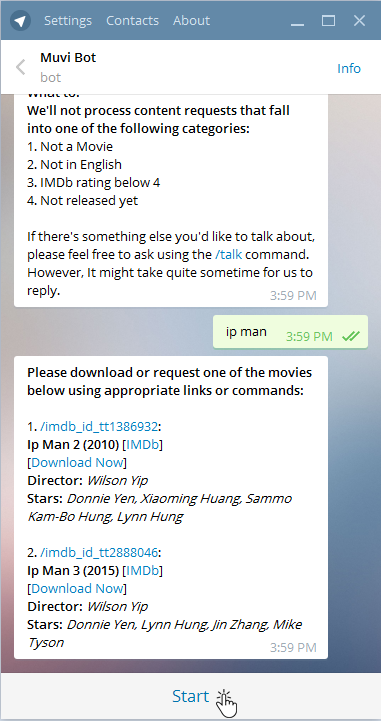 How can we download Movies with Telegram Bots? Telegram is a instant messaging platform boasts multiple innovative features that are lacking in competition. With flexibility built into the platform, Telegram allows developers to create Bots to serve their own needs. 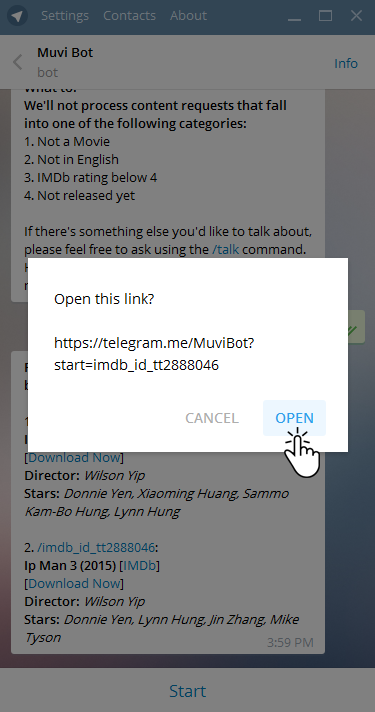 With a little programming skills, you will be able to develop and create your own Telegram bot in no time.Today, we will showcase one of the most interesting and highlighted bots available in the Telegram platform – MuviBot. 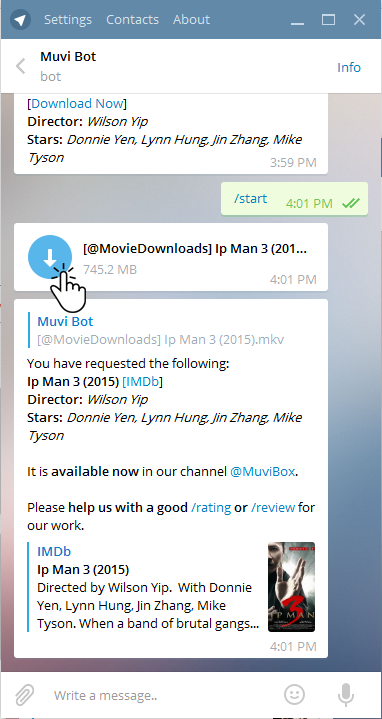 This article will show you how to download movies with a MuviBot that is served right through your smartphone/device. Step 3: Enter the movie you want to search. If the movie exists in their database, you will see a [Download Now] response. Click on it. 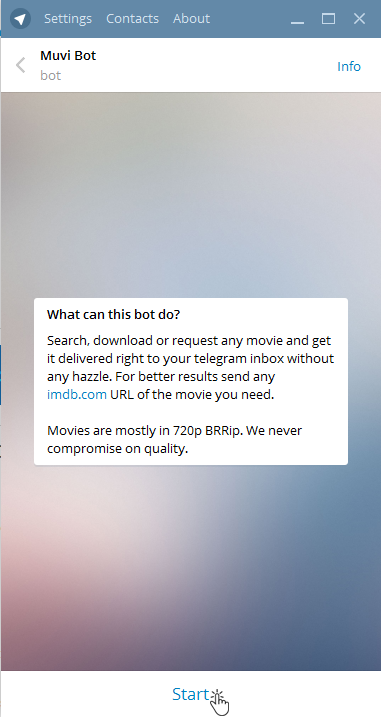 Step 6: Your movie is ready for download! As you can see, Bots can provide unlimited possibilities to Telegram instant messaging platform. In the upcoming articles, we will show you how you can create a simple bot. Stay tuned! This is only for educational purpose, no copyright infringement intended, if you like the movie, please support and purchase it.